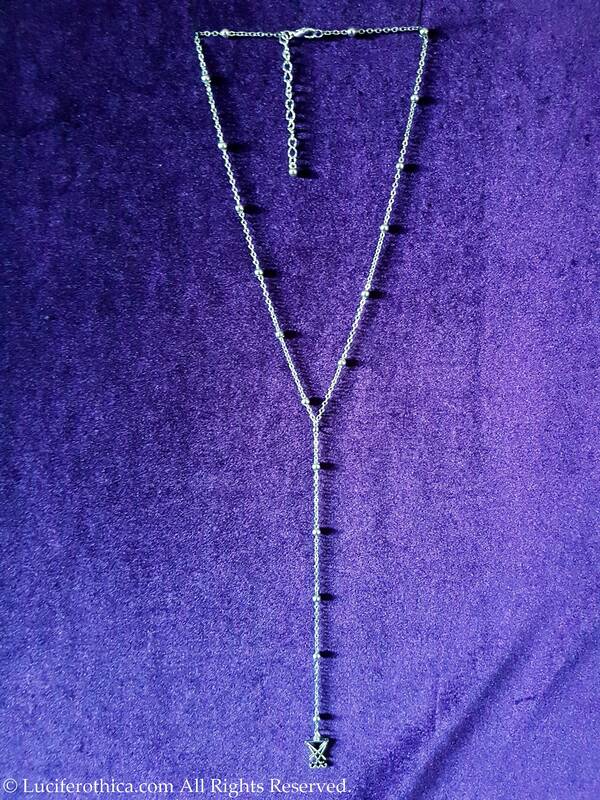 - 45cm silver colour chain with 6 cm extension. 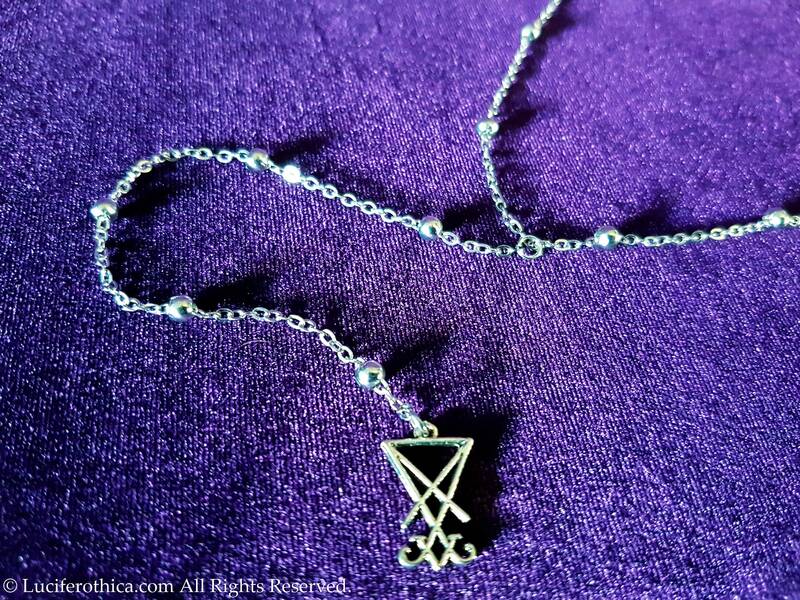 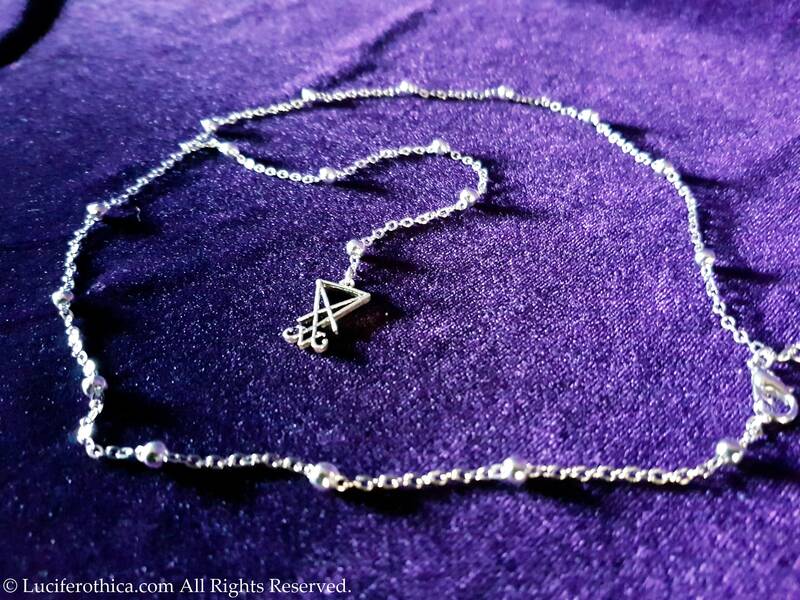 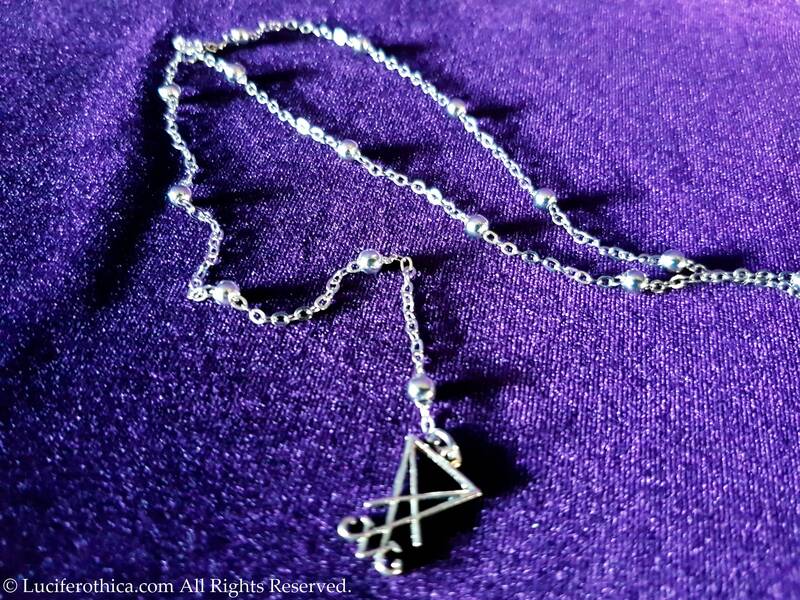 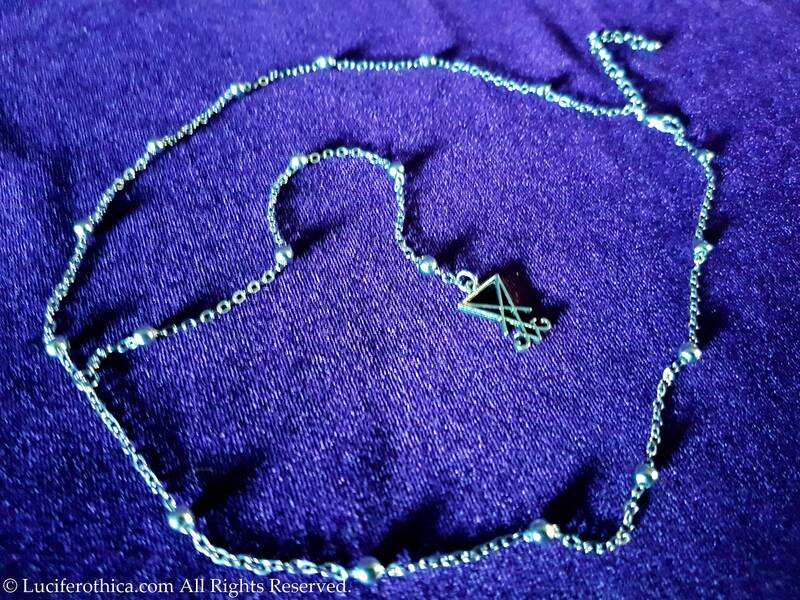 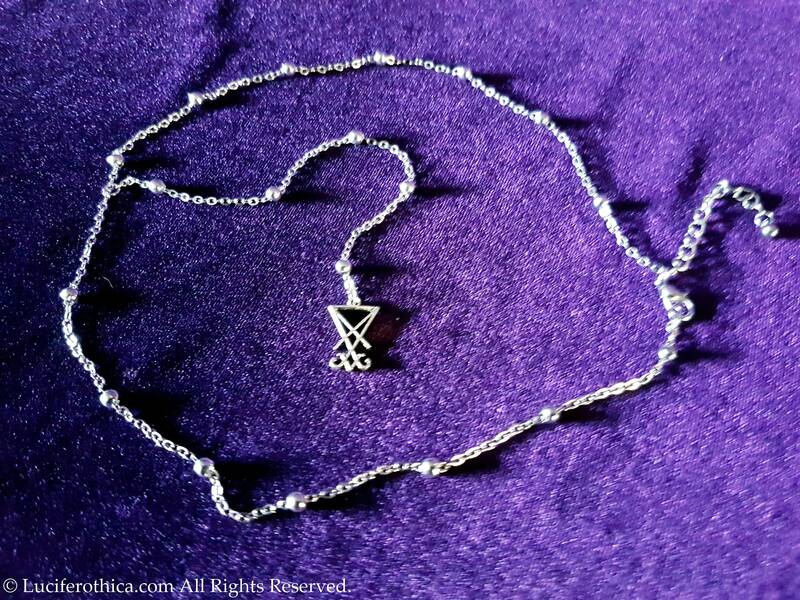 - 15cm long hanging chain with a Sigil of Lucifer at the end. 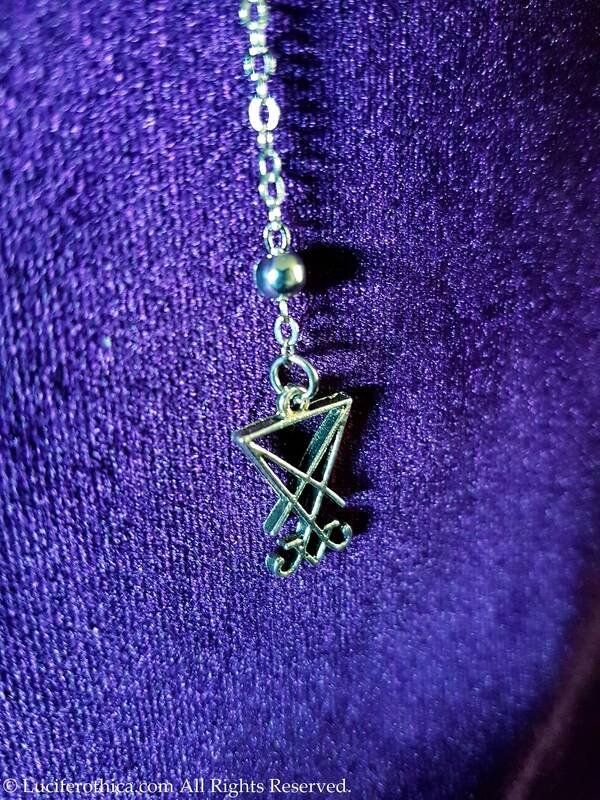 Sigil is 1.5 cm big.